How the Obama administration has institutionalized “the weaponization of government” was clarified in considerable detail when the House Ways and Means Committee released a 2012 email from a high-ranking Treasury Department official to Lois Lerner, former head of the IRS tax exempt division, discussing an “off-plan” project on 501(c)(4) organizations. Attorney Jay Sekulow, chief counsel for the American Center for Law and Justice, who was also a witness at the hearing and represents some 41 plaintiffs in a suit against the IRS, told lawmakers it now makes more sense why Lerner invoked her Fifth Amendment right not to testify last year before a House panel. Representatives Jim Jordan (OH-4) and Trey Gowdy (SC-4) were especially effective in pressing the Obama administration witnesses on their abject failure to actually investigate the abuses drilling down on the fact that in six months 13 Justice Department (DOJ) employees working on the case haven’t had time to interview either of the witnesses at the table or any of the 41 plaintiffs in a suit against the IRS for targeting them for political discrimination. Recent hearings on the IRS targeting of conservatives made it clear that Lois Lerner’s “’off-plan’ project on 501(c)(4) organizations” is far from over. 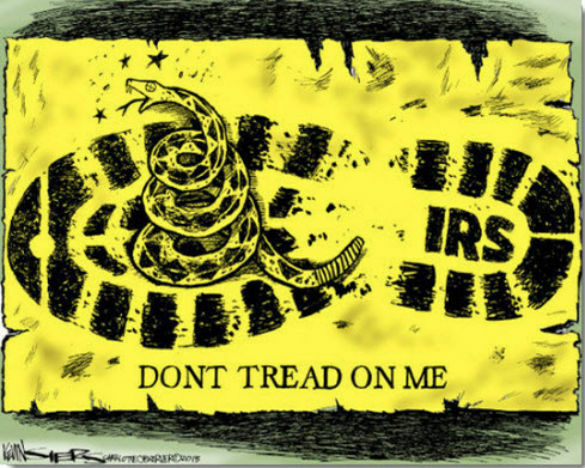 With the 2014 and 2016 elections looming the IRS – what attorney Cleta Mitchell termed “the enforcement arm of the Democratic Party,” is still hard at work to keep the Tea Party movement and other grassroots limited government constitutional conservative organizations on the political sidelines. Your comments are vital to stopping the blatantly political violation of the First Amendment by Obama’s IRS. Today is the final day for comments on the new rules on exempt organizations. If you value your freedom and the good work the many conservative educational and policy organizations do to advance the cause of conservative governance then click the blue 'Comment Now' button on THIS webpage to file your comments in opposition to the new Guidance for Tax-Exempt Social Welfare Organizations on Candidate-Related Political Activities.